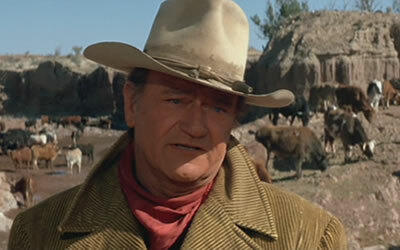 This 1972 coming of age western stars John Wayne as Montana rancher Wil Anderson. When his hands abandon him to join in a gold rush, Anderson solicits the aid of local schoolboys to help him move his herd of cattle and horses 400 miles to market. Among the boys is Slim (Robert Carradine), Charlie Schwartz (Stephen Hudis) and a Hispanic outcast, Cimarron (A. Martinez). A gang of men ride in before they leave. Led by Long Hair (Bruce Dern), the ex-convicts want to join the drive, but when Anderson catches Long Hair in a lie, he refuses to hire them. 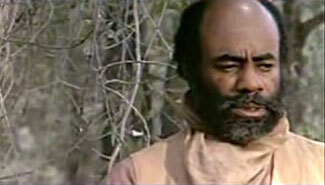 A black cook, Jebediah “Jeb” Nightlinger (Roscoe Lee Browne) shows up and applies to drive the chuck wagon. The boys learn about hard work, whiskey, and death along the trail and are forced by circumstances to grow up quickly. The screenplay by Irving Ravetch, Harriet Frank, Jr., and William Dale Jennings, based on Jennings’ novel of the same title, is a little long. In fact, the movie begins with an Overture and contains an Intermission, like Gone with the Wind or Ben-Hur, but this film is not in the mold of those movies and it seems more than a little pretentious to present it as if it was an epic. The music by John Williams seems like typical cowboy movie music, both self-important and overblown. Most of the performances are very good, especially Wayne and the boys that make up most of the cast. Probably the best acting in the film was accomplished by Roscoe Lee Browne, who creates a completely believable, three-dimensional character. Sarah Cunningham is very good as Wil’s wife Annie, but Slim Pickens gives us nothing more than his usual self as local bar owner Anse Peterson and Colleen Dewhurst has a short, wasted performance as Kate Collingwood, the Madam of a traveling cathouse. The most disappointing performance, unfortunately, is Bruce Dern whose sneering, one-note villain is almost laughable. The movie is pretty good, however, considering its drawbacks. Going in, I worried that the angle with the boys doing the cattle drive would be hokey (and some of it is), but for the most part Wayne and the boys carry the film. It’s a fresh angle for a Western and would have been extremely successful if it had been cut to a decent length, without a pretentious Overture and Intermission, and Dern’s character had been more well-drawn.